Shirley L. Cronin (79), of Riverside, RI passed away Sunday, November 4, 2018 surrounded by her loving family. Shirley was born in Pawtucket, RI on May 25, 1939, the daughter of Arthur and Ethel (Hart) Sabourin. She was the wife of the late Daniel J. Cronin of Riverside, RI to whom she was married to for 19 years. The two met at School House Candy in Pawtucket, RI where they each worked. She was a homemaker and a dedicated mother to her children. Shirley proudly worked at Shaw’s Supermarket for over 10 years to continue providing for her family after the passing of her husband. She lived in Riverside, RI for 49 years . Shirley was a loving mother, grandmother, and friend to many. 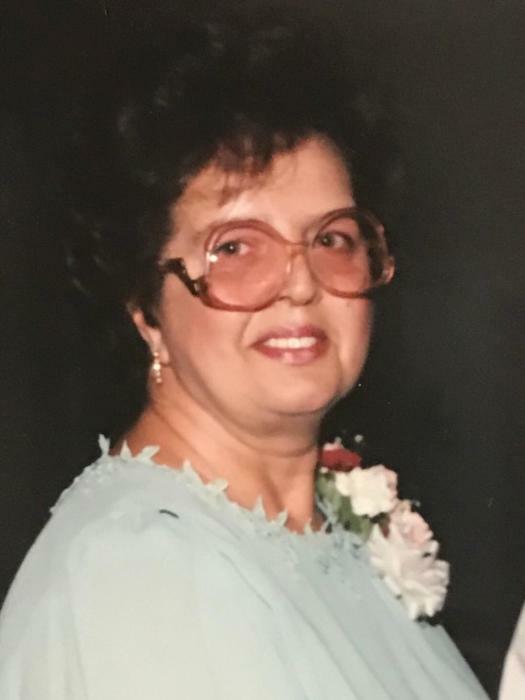 She enjoyed the simple things in life which included spending time at home, listening to her favorite musical artist, Elvis, creating hook rugs, gardening, checking in on her neighbors, spending time with her grandchildren, and always having a full house with her various pets, her favorites being her two black cats, Blacky and Midnight. Shirley is survived by her children, Shirley Iezzi and her husband Don Iezzi of Warwick, RI , Sean Cronin and his wife Cindy Cronin of Warwick, RI, and Scott Cronin and his fiancé Sarah Mello of Riverside, RI. Shirley was also the mother of the late Susan M Cronin. In addition to her children, Shirley leaves her two sisters: Linda Sabourin, and Joanne Sabourin, both of East Providence RI and her brother: Arthur Sabourin of Swansea MA, as well as her five grandchildren: Shelby Clarke , Daniel Cronin, Dale Cronin, Hailey Cronin, and Adaline Cronin. She will be greatly missed by all who knew her. Visiting hours will be on Wednesday November 14, 2018 from 9:00 AM – 10:00 AM in the funeral home. A Mass of Christian Burial will be celebrated on Wednesday November 14, 2018 in St Brendan Church 60 Turner Ave Riverside, RI 02915 at 10:30 AM. Burial will follow in Gate of heaven Cemetery East Providence, RI.